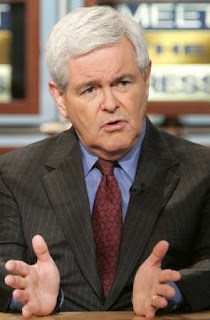 Newt Gingrich, polarizing politician-turned prolific predictor, is at it again. In an interview with Diane Sawyer on Good Morning America, the former Speaker of the House said the smart money is now on Obama in Iowa. "My guess is Senator Obama's going to win Iowa and that he's going to win it by a surprising margin," he said. Just two months ago, however, Gingrich seemed convinced that Clinton was unstoppable. "I think the odds are 80 per cent that Sen. Clinton is the next president," he said after announcing that he didn't intend to compete for the Republican nomination in 2008. "I think she is almost certainly going to win the Democratic nomination." So why is Newt suddenly hedging on Hillary? He says it's a hunch. "The emotional energy that Senator Obama's building is more powerful than the emotional energy Senator Clinton's building," he told Sawyer. Slightly more scientific support for such speculation can be found in this week's latest ABC/Washington Post. Senator Obama has opened a slight, albeit still statistically insignificant, lead over Clinton and Edwards (30%-26%-22% respectively). On Intrade, the two top contenders are trading in a tie for the lead in Iowa at 45. The Bottom Line: If you trust the former Speaker of the House with your money, invest in Obama to win in Iowa. Awww, Hucks: Media Goes Mad for Former Arkansas Gov. Another charismatic, likeable, funny former fat guy from a mobile home in a town called Hope just might be this election's Comeback Kid. If he's not yet in your political portfolio, then you've already missed out on the close to 50 cents per share in profits you could have pulled in since the start of the month. Without further ado, we highlight the making of the media's latest crush, as told through The New York Times. Gail Collins, in an Op-Ed entitled "Who Doesn't Heart Huckabee," wonders why the so-called value voters haven't yet followed Chuck Norris' endorsement and fallen head over heels for the one of the only candidates still "on his first wife and first position on abortion." David Brooks believes he's a "good campaigner," and a normal, neighborly, "collaborative conservative" whose Biblical and gubernatorial credentials will serve him well with white working class Republicans. "He’s rising in the polls, especially in Iowa," concludes Brooks. "His popularity with the press corps suggests he could catch a free media wave that would put him in the top tier. He deserves to be there." In a recent article on Huckabee's rising poll numbers and climbing campaign cash total, Times political reporter Michael Luo put it this way: "With less than two months until Iowa’s first-in-the-nation caucuses, there are signs that Mr. Huckabee, a former Baptist pastor for whom Bible verses flow easily off the tongue, is charming, quipping and sermonizing his way from a long shot ensconced in the second tier of the Republican presidential sweepstakes to a possible contender here. 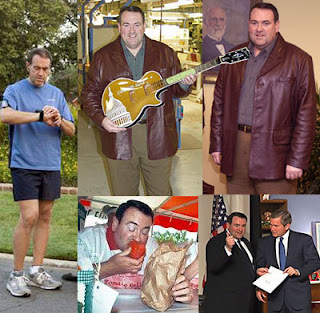 The Bottom Line: Buy as many Mike Huckabee contracts as you can afford. As long as he continues to poll close to Romney in Iowa, pundits will keep harping on Huckabee as the Republicans' great Hope. Bloomberg Hits The Books: Is He Preparing For Prime Time? Sam Stein, a recent Huffington Post hire and fellow graduate of the venerable Tom Edsall school of political analysis, is reporting that Bloomberg is cramming on foreign policy in advance of a potential presidential bid. If true, the news certainly seems like solid evidence that Bloomberg is still flirting with a bid - at least the most intriguing speculation since Newsweek editor Jon Meacham profiled the coy possible candidate in a recent cover story and announced that Bloomberg's chief strategist thinks his boss would blow a billion bucks on the campaign. The Bottom Line: Bloomberg's stock, which has been trading for weeks around 14, is likely to spike as more details emerge and further rumors become rampant. It's time to make the billionaire's fortune work for you. Politickr continues to doubt that the NYC mayor would seriously consider running against Hillary and Rudy in a three-way New York race for the White House. If, however, Rudy falters in the early primaries, bet big on Bloomberg. Either way, it's time to stock up on shares in the business mogul and realize some short term gains.